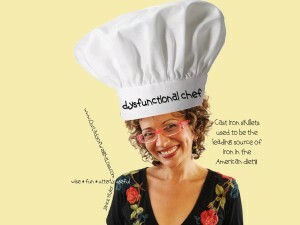 Dysfunctional Chef: WARNING-One MUST HARD BOIL their Eggs Correctly! …And I’m guessing that if I didn’t know how to correctly boil an egg that there are two or three others out there who are in the dark. So, for those of us who mistakenly thought all you had to do was toss an egg in boiling water and wait for it to get hard, here follows some hard boiled vital information on how to boil an egg. 1. Do NOT use fresh eggs!!! They are difficult to peel. It’s best to use eggs that are near their expiration date. 2. To help center the yolks in the egg, be sure to store your eggs on their sides in the fridge for approximately 12 hours. Easy enough to do. Just seal your egg crate up with tape and turn it on its side. 3. Take eggs out of the fridge (no longer on their side) and bring to room temperature. They must be room temperature. That said, if you take them straight from the fridge, simply run warm water over them for a minute or two. 4. Place eggs in a single layer in a pan with enough cold water to cover eggs. Bring water to boil, remove from heat, cover tightly with a lid, and leave eggs for 17 minutes. 5. Place eggs under running cold water to cool quickly. This is also known as “coddling.” This will help prevent discoloration of the yolk and will also help to make the peeling process run more smoothly! 6. If you don’t consume your hard boiled eggs within a few hours, do refrigerate. And note that hard boiled eggs in the shell can be refrigerated up to one week only! Peel and Eat — or — Don’t Peel and Refrigerate. Ready to Hard Boil ‘em Right? Join Our Lady of Weight Loss’s Kick in the Tush Club/FB!